First of all we should say that the stakeholders are all of the people who have something to gain or lose in the project. By this definition we must include, among others, the project team. If we consider all of the far-reaching effects of doing almost any project, we can see that there are a lot of stakeholders indeed. We must be careful that we consider all of the stakeholders in a project, some to a lesser extent than others. Our main concern is going to be the ''key'' stakeholders. The first problem is to identify them. How can we best accomplish this task? For some reason there is reluctance on the part of project managers to contact all of the key stakeholders in the project, let alone the ones that are not so critical. This results in a poor definition of what the project is all about. 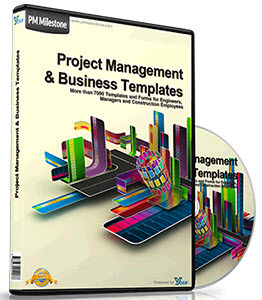 With a poor definition of what the project is all about, there is no hope of ever being able to construct a project plan and determine the cost, schedule, and scope objectives that project managers hold so dear to their hearts. One of the techniques that can be used is to have seven to ten members of your project team get together and use one of the group dynamics techniques to come up with the names of all the stakeholders for the project. One technique that is gaining in popularity these days is called the Crawford slip. Using this technique, each person in the group is given ten pieces of paper. The facilitator asks the question, ''Who is the most important stakeholder in this project?'' Each of the participants must answer the question with the best answer he or she can think of. This is all done in silence, and the answers are not discussed at this time. The facilitator waits one minute, exactly, and asks the same question again. Each time the question is asked, the participants must answer the question. An answer cannot be used more than one time by each participant. After the question has been asked ten times, the group should have generated 70 to 100 responses. If the group has been picked carefully so that there is diversity among the participants, there is a good chance that a high percentage of the stakeholders have been identified. At this point the list of stakeholders can be compiled and distributed to the participants for additions and corrections. With this technique we have gone a long way toward identifying the stakeholders for the project. One of the things that seems to be confusing is the relationship between cost and price. So, the first thing we should do is to make certain that we are all using the same meanings for these two words. Price is the amount of money (or something else) that a customer or stakeholder is willing to give you in order to receive something from you. Generally, in terms of project management, the thing that is being done for the stakeholder is the project, and the things that the customer and stakeholders receive are the deliverables of the project. These things can be either goods or services. Money is usually the thing that is given in exchange for doing the project. Cost, on the other hand, is the amount of resources (money, people, materials, equipment, and so on) that are consumed in order to produce the delivered goods or services, the results of the project. What is the relationship between cost and price? Are we satisfied if we are able to make a reasonable profit on what we do for our stakeholders? Are we satisfied if the cost of doing a project is less than the selling price by some accepted percentage? Let's explore this a bit. Suppose we say we would be satisfied if our total project cost was 85 percent of the selling price. We must first ask where the selling price came from. Did our sales and marketing people try to get the highest price they could, or were they satisfied by being able to get the acceptable 15 percent markup from the customer? Eliyahu Goldratt said in his book It's Not Luck that the price of something should be determined by ''the perceived value to the buyer.'' What this means is that the selling price of anything we do should be determined by what the customer and the stakeholders are willing to pay. Having determined what the stakeholders are willing to pay, we then need to determine whether it is profitable enough for us to do the work. To determine this we must determine cost. In order for us to stay competitive in a world of global competition it is important that we recognize this. In the beginning of a product life cycle or when a new service is being offered for the first time, it is important that the stakeholders pay the price equivalent to the value of the goods or services they receive. It is also important that the project team produce the deliverables of the project for the minimum cost. This will leave what may seem like an excessive profit. It is important for the future of the company that these excessive profits be used to invest in improving the company's ability to produce future projects for less cost. The competition will be eager to come into a highly profitable and growing new business area. When they do, they will be willing to reduce the price to your customers to entice them away from your organization. And when this happens the company that started it all had better have been making cost improvements all the while or risk the loss of a major market share. So, a couple of things are important here. One is that we ask the customer to pay a price that is relevant to the perceived value of what they receive. The second is that the company providing the goods or services takes the extra profit and invests it in its ability to reduce costs as the product matures and competition enters the market. Overbid or Underbid: Which Is Better for Your Company? We said that it was important to price things according to the perceived value to the customer. In other words, if a project has a high value to stakeholders and customers, they should pay a price that is high as well. Now, suppose we are in a bidding situation. Our organization is in the kind of business where the stakeholders publish requirements and companies like ours submit a firm fixed price to do the work specified. Many construction projects work this way, but other types of projects are done this way, too. A number of companies are bidding for the same project. The question is then: Is it better for companies to underbid or overbid projects like this? Most people would say, ''It is better to overbid the project because if I underbid I may win the project but lose money trying to complete it.'' Let us explore this issue. A company that underbids a project and wins the bid finds that the cost estimate for doing the work was too low and as a result they did not charge enough to the stakeholder to make a profit. In fact the company may actually lose money on this project. This gives the company immediate feedback: They know soon after starting the work that there will not be enough money coming from the customer to pay all the costs and expenses associated with the project. At this point lots of unhappy things take place. The company may go to the customer or stakeholders and ask for additional funds. The company may have to grin and bear it and lose money or at least not make as much money as they would like. The company may try to reduce the requirements to save cost, with or without the customer's approval. Panic may follow, leading to a very unhappy situation all around. But, every cloud has a silver lining. The company in this situation at least knows where it stands, and one way or another, the next time the company bids on a job it will increase the price. Companies in this situation either learn from this experience or they soon find another line of work. In the other situation we talked about—where the company overbids the work— only two things can happen: The company bids too high and does not get the work, or the company bids high and gets the work anyway. In the first case, the company loses the bid and does not get to work on the project. This may or may not have a positive effect on future business. If the company was convinced that the bid it submitted was just too high, it might look into the cost estimating process or some of the costs associated with the way it is doing things. Many companies don't do this. They become convinced that for some unknown reason the competition got the job and they did not. You will hear about how so-and-so's brother-in-law was a friend of the purchasing agent or so-and-so's wife is in a bridge club with the company's owner, and so on. Companies are reluctant to admit that they may be doing something wrong, and they wait for the next opportunity to come along. Now let's consider the case where the company overbids the project and is awarded the contract anyway. This could actually be the worst thing for the company. Where the company overbid and lost the project, there at least was some feedback to the company that something was wrong, providing the impetus for doing business differently in the future. When a company overbids a project and is awarded the contract, what budget will the company assign to the project manager of this project? It will probably take the bid price, reduce it by some acceptable level of profit, and ask the project manager to complete the project with those funds. This sounds right except that, in this situation, the company overbid the project. As a result, the company is going to over-budget the project. The reason is that it doesn't really know that it had overbid the project in the first place. 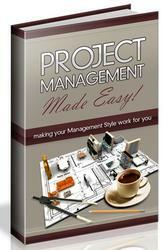 The project manager will measure the progress and the performance of the project according to the allocated budget. As long as the project is completed on time and under budget, and the requirements are all satisfied, no one is likely to complain about the project performance. As time goes by, more jobs like this are bid and won, and the company continues on with an acceptable profit. The projects are completed, and everyone is happy. Ignorance is bliss. However, sooner or later a competitor is going to figure out that there is extra profit to be made in this type of business. The competitor discovers this by doing a better cost analysis than our company and starts to bid the same jobs but at a lower price. At first, there is no reaction. Lost work is considered just part of the normal business cycle. As time goes by and there is less and less business, the company may eventually come to its senses, realize that its costs are too high, and take some corrective action. This is very hard for companies to do. They are in the situation where for years they have been doing things the way they always have and been successful. Now they are losing business, and they have a lot of trouble figuring out why. If they had had good cost estimates they still might have been able to overbid the projects, but the budget for the projects would have been based on more accurate cost estimates, and the profits would have been larger. What must happen next is that the company must take those excess profits and invest them in the company and modernize before being forced to do so by their competition. We can see that the worst thing that could happen to companies is that they overestimate costs. From that, they overbid work, over-budget projects, and learn inefficient ways to do things. From all of that, they may go out of business.